Ask about modelling problems and get answers from other knowledgeable members. Join the banter about 'non-railway' and the more important things in life! All current, paid-up DEMU members are welcome to join and take part in the forum, follow the link to find out more. New members should register for full access to the forum here. 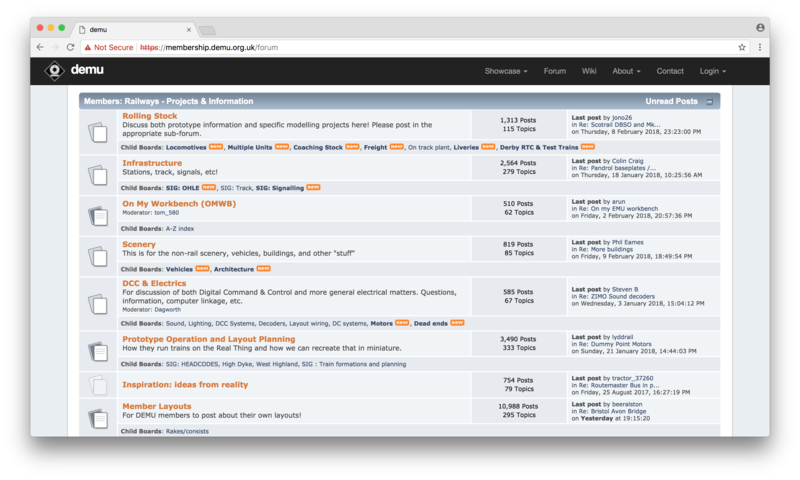 Screenshot of the DEMU Forum (click on the image to access the Forum).